We have a thriving digital and tech community in Exeter and the South West. Our aim is to serve our vibrant community, by being their representative voice, and by helping to make awesome things happen. TechExeter (Doing GOOD THINGS with Technology) and Digital Exeter (Connect + Share) have been running local tech meetups and events for several years, and we’ve grown our grassroots community to over 600 900 1000 members. We collaborate with other grassroots, community-led groups from around the South West. 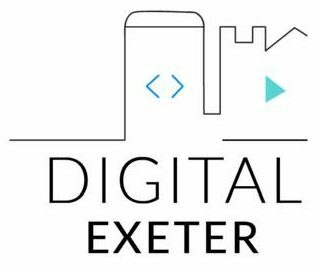 Digital Exeter seeks to build the digital community in Exeter. We are a Tech Exeter CIC project, as such we work closely with TechExeter and share sponsors, collaborate for special events and support the wider digital/tech community together. We also encourage event-based support e.g. SwitchSystems sponsored free drinks for our inaugural MEGA meetup in January 2019. We also have our own dedicated Slack workspace, which you can join here. Our next meetups are listed here. You can find us on social media too! Connect, Share and Support the Digital Community in and around Exeter, Devon.